We are indulged in offering MS Joist to our clients. This MS Joist is available in various shapes and sizes in order to meet the diverse needs of the clients. It is used in construction industry for laying strong foundation for buildings. We excel in offering a wide range of MS Joist. Our products are acclaimed for their finest quality, robust design and dimensional accuracy. Following the requirements of clients, we offer these products in various standard sizes, dimensions and other specifications. These devices are 100% quality checked. These are long span, load-carrying members suitable for direct support of the floors and roof decks in buildings. 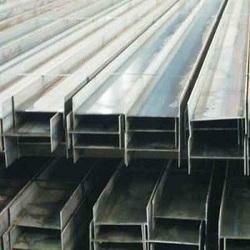 Kushal Iron & Steel Co.
We have in offer for our clients a comprehensive range of Steel Joists. Genuine steel is sourced from dependable vendors to manufacture these joists. 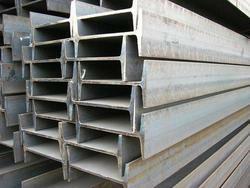 As per the area of application, we provide these joists in host of sizes and shapes. Owing to the quality material, our products provide reliable and durable performance. We have in store for our valued customers a range of joists, which is widely used in structural engineering and designing. These are manufactured by reputed and reliable brands of the market and are appreciated for their sturdy construction and dimensional accuracy. Banking on our sound vendor base, we are capable of feeding bulk demand within the shortest possible time frame.